This article was originally about full!screen, an Android app for hiding the system bar on Android tablets. The app is still available, but was last updated in 2013 and only works on rooted devices running Android KitKat or earlier. We’ve updated with a better solution. Most Android phones now have on-screen soft keys for navigation instead of physical buttons. Recent versions of Android feature an Immersive Mode that hides the status bar and navigation keys to save screen real estate. This kicks in automatically when you’re watching full-screen video and playing games 20 Best Offline Games on Android That Don't Need Internet 20 Best Offline Games on Android That Don't Need Internet These best offline games for Android are from all genres, including strategy, puzzle, racing, and more. No internet required. Read More , but there’s no way to activate it on-demand. That’s where this pair of apps comes in handy. If you want a quick way to toggle Immersive Mode Get Immersive Mode For All Android Apps – No Root Required Get Immersive Mode For All Android Apps – No Root Required Immersive Mode was one of the cooler features introduced in Android KitKat, but it was only introduced for certain apps. Now you can get Immersive Mode across all your apps! Read More in any app, GMD Full Screen Immersive Mode is your best option. Install the app, then open it to configure its toggle. By default, it places a notification in your shade that you can tap to toggle Immersive Mode. Tap the middle icon to hide the lower navigation bar but keep the top status bar, or tap the right icon to hide them both. When you’re ready to return to normal, tap the left icon with both showing. If you open the app, you can change a few settings such as making the notification invisible and running the app every time your phone boots. If you buy the Pro version, you can even set it up on a per-app basis. There’s another solution for this, though it offers far more than just toggling Immersive Mose. Power Toggles also lets you add a notification bar shortcut to toggle many of your phone’s controls. Open the app and choose Notification, then turn on the slider at the top of the screen. Choose Customize, then Add Toggle. Select Immersive Mode to add it to your bar. Then, you can swipe down your notification shade any time and tap your Immersive shortcut to hide the navigation and status bars. 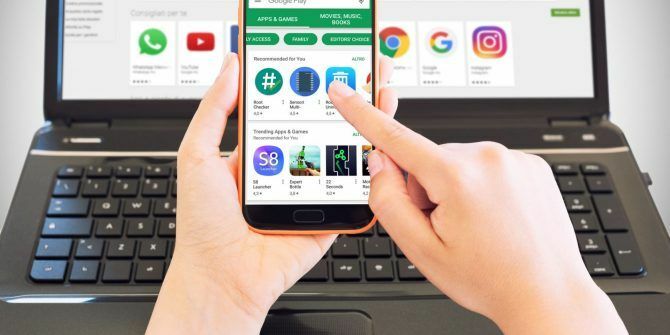 Power Toggles offers a lot of extra control shortcuts 5 Best Android Shortcut Apps for Quick Access to Everything 5 Best Android Shortcut Apps for Quick Access to Everything These little shortcuts apps make it easy to quickly access settings, apps, and functions from anywhere -- just like the iPhone's Assistive Touch feature. Read More , while GMD Full Screen is just for Immersive Mode. Try them both and see which fits your use better! Do you ever need to toggle Immersive Mode on your Android device? Tell us which app you prefer down in the comments! Explore more about: Android Tablet, Android Tips, Notification.